"Josephine's Jewels in Cartier's Hands"
The pair of diamond and emerald earrings given by Napoleon to his former Empress Josephine, which were described in a cable from Paris to The Times of Sunday as having been placed on the market in New York City , were found yesterday at Cartier's jewelers, 653 Fifth Avenue. The gems are valued at $100,000. The earrings are the last of the bejeweled ornaments presented to the former empress by Napoleon, who personally directed the jeweler of his court  on how to make the designs. The set originally consisted of an elaborate diamond and emerald tiara, the earrings, a necklace, and clasp for waistband, all executed in the same general design. Because of their cumbersomeness and further because they were too expensive to find a ready purchaser intact, all the other pieces of Empress Josephine's collection received from Napoleon were disassembled and the precious stones sold separately. The earrings were the favorite ornaments of Empress Josephine. They consist of two great pear-shaped emerald pendants, surrounded by ten diamonds graduating in size from a little less to a little more than a carat. The pendant is attached to a pin with a hexagonal emerald surrounded by thirteen diamonds of a half carat each. All the stones are of excellent quality, and the emeralds are especially clear and beautiful. "They came into the possession of the Beauharnais family as outlined in the Times, and were handed down to the present member of the family, who is a Russian grand duke . 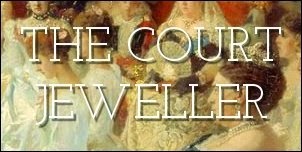 Owing to financial stress he sold the tiara, the necklace, the clasp, and the earrings to a syndicate which included the House of Cartier in Paris. The jewels, except the two earrings, were disassembled and were sold separately in Europe. Some of them may have reached the United States, although it is not known. The earrings are the only two pieces that remain intact. 1. From the New York Times, 30 Oct 1921: "There is for sale in New York, if not already sold, a pair of earrings which Napoleon gave to Josephine in 1800, when the first Consul's star was in the ascendant ... at her death they passed to the family of Eugene Beauharnais, her son by her first husband ... the war and its aftermath has forced them to sell some of the most treasured family possessions. Among them were these earrings ... an endeavor was made by some to by them for the Louvre at the price of 500,000 francs ... private subscription, however failed to raise the amount ... instead, they have gone to America." 2. Marie-Étienne Nitot, the founder of Chaumet, was appointed official court jeweler to Napoleon in 1802. (This means, of course, that if Nitot was the maker of the earrings, the creation date cited by the Times in note #1 is incorrect.) In 2014, Christie's sold an emerald and diamond brooch attributed to Nitot that had once belonged to Josephine's great-grandson, the 6th Duke of Leuchtenberg. 3. The "present member of the family" in this case would have been Prince Alexander Georgievich, the 7th Duke of Leuchtenberg. 4. Hans Nadelhoffer's Cartier provides basically the same narrative of the emerald earrings: "In 1921 we find an important pair of earrings -- part of the historic Leuchtenberg emeralds -- at Cartier New York. They comprised two emerald drops, each framed in ten diamonds and each fitted to a hexagonal emerald and thirteen diamonds. The complete set of jewels had originally belonged to the Beauharnais family before it passed to the Russian ducal family of Leuchtenberg; from them it was bought by a Paris syndicate to which Cartier's belonged. Except for the earrings, the jewels were broken up in Paris, despite a subscription organized by the Louvre to prevent this. The following year Cartier's took the emeralds to Spain to show to the Queen and Queen Mother. However, this did not lead to a sale at the time because, as the salesman Farines reported back to Paris, the Queen Mother merely 'pouted significantly.'" Nadelhoffer adds in a footnote: "The Leuchtenberg emeralds were bought in 1920 from the antique dealer Seiler's of Vevey by Bienenfeld."